Armoured(!) trains in the Caucasus? A weapon thought by many to belong to military museums is making a return to active anti-insurgency operations in the North Caucasus: the armored train. First used for such purposes in the American Civil War, armored trains and the tactics associated with their use were most fully developed in the vast expanses of Russia, where they were used in large numbers in World War One, the Red-White Civil War of 1917-22 (including extensive operations in the Caucasus), the Second World War and the Sino-Soviet border conflict of the 1960’s. More recently, Russian armored trains were deployed to secure railway lines against Azeri nationalists during the 1990 Soviet military intervention in Baku. Now Russia’s defense ministry has announced the return of armored trains for use against Islamist insurgents in the North Caucasus (Interfax, January 5; Russia Today, January 5). The growing insecurity of Russia’s railway system led to an announcement by President Dmitry Medvedev on December 2 that he had just signed a special order regarding the prevention of terrorist attacks on railways (ITAR-TASS, December 2, 2009). Medvedev’s announcement followed remarks by Prime Minister Vladimir Putin that called for pre-emption as the best means of eliminating attacks on the rail system (The Moscow Times, December 1, 2009). • One person was killed in an explosion on railroad tracks near the Dagestani capital of Makhachkala on February 10. The bomb appears to have gone off prematurely, narrowly missing an incoming freight train carrying 20 tankers full of jet fuel (www.news.az, February 11; AP, February 11). • The Nevsky Express running between Moscow and St. Petersburg was derailed by a reported explosion on November 27. 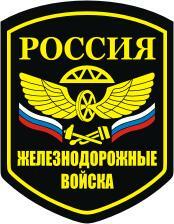 The FSB estimated seven kilograms of explosives were used (RIA Novosti, November 28). Though the Caucasus mujahideen claimed the explosion was carried out under the orders of their amir Dokka Umarov, elements of the police and many observers questioned the ability of the rebels to conduct such an operation. The mujahideen’s message included threats to carry out further attacks on rail lines and other Russian infrastructure (www.kavkazcenter.com, December 2; RIA Novosti, December 2; ITAR-TASS, December 2). During the Cold War, Russia deployed 56 RT-23 Intercontinental Ballistic Missiles (ICBM’s) (NATO name – SS-24 Scalpel) on military trains used as mobile launch pads. The last of these was decommissioned in 2005. Elaborate armored trains were deployed along the Soviet-Chinese border in the 1970’s. These trains carried a motorized rifle platoon, an anti-missile detachment, military engineers and communications units. The train could also deploy 12 tanks (two amphibious), eight armored personnel carriers and a variety of lighter transport. 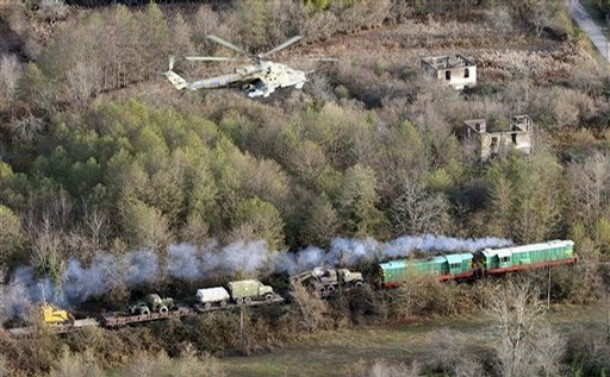 The armored trains were demobilized as border tensions with China calmed in the 1980's (www.russia-ic.com, November 26, 2009). In the wake of continuing insurgent attacks on the railroads of the North Caucasus, Russia will return two Stavropol-based armored trains to service in Ingushetia, Chechnya and Dagestan. The trains, which have been held in reserve for two years, are equipped with “special devices for the removal of landmines and heavy weapons capable of countering an attack by armed militants.” The armored trains will likely be manned by railway troops of the 76 ZhDK, based in Volgograd. The unit is considered well-trained, well-equipped and ready for combat operations (C.W. Blandy, “Georgia and Russia: A Further Deterioration in Relations,” Advanced Research and Assessment Group, Caucasus Series 08/22, July 2008, www.da.mod.uk/colleges/arag/document-listings) /.../08(22)CWB.pdf). See also this series of pictures on the website of the Russian Ministry of Defence to see a slideshow of Russian railway troops throwing a temporary railway bridge across a river.